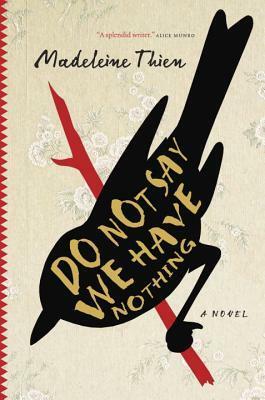 Do Not Say We Have Nothing is all over the internet right now, perhaps due to its spot as a finalist for the Man Booker Prize, and more recently it has become the 2016 winner of the Governor General’s Literary Award for Fiction. Because of all the already-existing fabulous reviews that abound I’m going to try to keep mine short and sweet with a large list of further reading at the end for anyone who wants to know more. Before embarking on my Shadow Giller reading, I already knew I would want to spend time with this book. Leaving it until the end ensured that I wouldn’t feel rushed while reading it, which ended up making my experience more rewarding. My advice to you: Don’t rush this book; savour it. It might take you a week to read it, but it’s worth it. By now I’m sure most of you know what this book is about; one (extended) family’s experience during the cultural revolution in China. More deeply, it’s about what happens when people don’t have the freedom to live the way they want; to choose their work, where they live, and even who they live with. The People should come first, above family and self, above petty concerns like attachment and music and love. The scope of this novel. I learned a lot about the history of China and how the Communist Party works to control the people. Things I thought I already knew, but really I didn’t. It also explores how events have a far-reaching ripple effect, and how the past doesn’t just go away. The narrator in the present. Marie/La-Ling’s voice in the present grounded me, allowing me a better perspective of the big picture. I set myself to remembering everything she had told me, the beautiful, cruel and courageous acts, committed by her father and mine, which bound our lives together. The Book of Records, which gets passed down through generations and copied over many times, often to hide secret codes inside for family members to discover. I like that Marie continues this tradition, even at the end. The passion brought to the subject by the author, and the book’s call for freedom and individualism. There’s some humour scattered here and there throughout this book, which helps to lighten the mood. Kai’s part in the “struggle sessions”. I couldn’t shake my anger towards him the whole rest of the book. I tried reminding myself that he had been under immense pressure, he felt a strong duty to his family, and that he was still so young – only 17 at the time. Still, it hurts. Sparrow’s emptiness. What a terrible waste; for himself, the world and his family. In truth, he wanted to believe. He would not feel so utterly alone if only he could give in and place his trust in a person or just an idea. “Listening” to Sparrow’s “The Sun Shines on the People’s Square“. I was a wreck by then. And, yes, I felt like I was actually listening to the music. I wanted to google it. 500 pianos were destroyed at the Shanghai Conservatory. And, obviously, that’s just the tip of the iceberg. Best character: Big Mother Knife. She’s as tough as her name, and at times adds some comic relief. The world is like a banana, easily bruised. Now is the time to watch and observe, not to judge. Ai-ming, believing everything in books is worse than having no books at all. Is there anything I didn’t like about this book? Let me start by saying that it took me a full week to read this book, and I didn’t even mind; most of the tiime I was completely absorbed. But… there were a couple of parts that I felt were lagging, particularly in the develpment of the relationships between Sparrow, Zhuli and Kai and their many trips to the conservatory and their many practice sessions. This review at The Walrus suggests that the book is too wordy, however I think that might be a matter of taste; some people seem to have loved every word while others felt the book was too long. So don’t let this stop you from reading the book – it’s an experience that you won’t want to miss. Thank you to Random House Canada for sending me a copy of this book for review! This is my last review of the shortlisted Giller books. (You can find the rest of my reviews here.) In the next while, the Shadow Jury will be making its choice, to be announced in advance of the real winner on November 7th. All of the books on the shortlist this year are amazing books – I’m glad I had the chance to read them, and I wouldn’t hesitate to recommend any of them. “The world is like a banana, easily bruised.” What a great line. That whole passage you quoted is very powerful. Watching, observing, not believing everything in books. I’d like to read this novel soon, along with The Wonder, even if I don’t get to the other shortlisted books right away. It’s great to see your thoughts on this one. I read this book three weeks ago, but I fear I rushed it (I read it in 2 days; I was on holiday at the time) and I never felt fully engaged with the characters. I admired the ambition and scope of the story, and the way it jumped backwards and forwards in time, but it didn’t really have an emotional impact on me. I’ve read quite a few books about the Cultural Revolution, so I wondered whether the shock value, for me, had been dampened by that pre-existing knowledge? I do, however, think it’s the strongest title on the Giller shortlist. Hmm… I wondered about that. I’ve read bits and pieces about China’s history, but never one that was so broad in scope as this one. I wonder if it makes a difference. I’d like to hear from others who have read other novels on the subject! I missed this when it was on the Booker shortlist, but I’d really like to read it. And… 500 pianos. God, how awful. You’re right, this book has been getting so much positive coverage, but in this case it seems fully justified. I heard Thien being interviewed about it on a radio arts programme a few months ago and it sounded really powerful. There’s a link here if it’s of interest (although it might be geo-blocked in some regions). Thanks Naomi this is a great summary and review. Can’t wait to read, it arrives at my library soon! excellent review Naomi! Your word “gutted” is a perfect choice. Exactly! A novel both broad in scope (sociological, political, geographic & time) yet extremely personal in its characterization & stories. Masterful! I’m 1/3 of the way through this for my November bookclub meeting; thanks for not including too many spoilers. Last month we read The Wonder. Both have sections that drag; perhaps I am getting impatient in my old age? Thien’s book has some wonderful language and memorable lines, though. Yes, I would have to agree that both books have sections that drag (although more for some readers than others), but I hope overall it will be worth it. Be sure to let me know once you’re done! What was you club’s verdict on The Wonder? Those who had read The Room said it was similar in structure and feel. We too thought the ending was a bit too easy and fast. We had a long discussion on the effects of Catholicism in Ireland and on her colonials [we had three (or four) experiences among us with the RC annulment process!] so the general pretext of the story was believable. And, all of us had passages that we liked. Interestingly we forgot to give it a numeric rating, something we usually do. Sounds like you got a good discussion out of it! The religious aspect of it is probably what I would have wanted to discuss as well. I just looked up Wild Swans, and it does sound similar. It may not have the back and forth in time that this books has, with the narrator in the present being a Canadian born of Chinese immigrants. Wild Swans says it focuses on the female experience, which would be good. DNSWHN has a mixture of human experiences. I think I’ll add Wild Swans to my list – but might save it for a while. It’s pretty grueling but it would be interesting to compare the two given that one’s a memoir. This seemed like a real favourite to win the Booker for a while. Glad to hear you enjoyed it. So many thought it would win, and I had my fingers crossed for it. But I’m sure The Sellout is also great – I’d like to read that one too. I’m still surprised it didn’t win. Thanks for linking to my review. I agree with pretty much all your points. I was reading a lot of other books simultaneously, so this one took me nearly THREE weeks. Like some others have mentioned, I struggled a bit with figuring out who all the characters were (I think it could have used a family tree or cast list at the start) and with the constant flashbacks. Well worth the read, though, and I think it may well take the Giller. I can see having trouble keeping the characters all straight if you’re reading other books at the same time. I didn’t have that problem, but was only reading the one. A family tree still would have been a nice addition. It could very well still take the Giller – although there are one of two other strong contenders – I’m itching to find out! Yay, you did it, Naomi. You read the entire short list with time to spare! Well done! I’m looking forward to finding out which book will be your winner. You already know that I really want to read this, and your review has only strengthened my resolve. Now I am also curious about a comparison with Wild Swans, which I read and loved (though it was tough reading). My library will only do an ILL, so maybe I wish for this for Christmas and then take Christmas break to savor the reading experience. Sounds like a good plan! And I would love to know how it compares to Wild Swans. It wasn’t as hard to get through them all in time as I was worried it would be. I even read three from the longlist. Maybe because they were all so good! I’m also itching to know which will be the winner (the shadow winner and the real one!). Fabulous review, Naomi. I love the format and how concise and illuminating it was. I actually don’t know much about this book, though I have seen it around a bit before. So to read your rave review definitely has put this book on my radar. I imagine I would learn immensely by reading this book, which means it’s a must-read for me. Congratulations on getting through such an ambitious reading project! It appears you read some incredible books all worth your time. What’s better than that for book lover? This was a fantastic experience for me – I loved every minute of it! I’m glad you’re enjoying it – I also learned so much! I’m impressed that you have finished the shortlisted Giller nominees, way to go! I am curious about this one as I’m interested in the Cultural Revolution in China. I should read it if I like history, but I’m a little wary of the lagging parts & wordy parts. 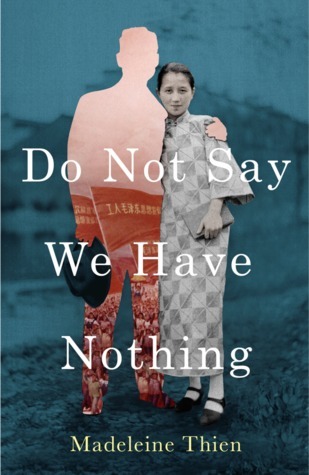 When i heard Thien speak, she said she thought her last book was better. ha. But I think I will get to this one. I actually didn’t know what this about yet, so I’m glad you got me caught up. It sounds wonderful, but also dark and sad enough that I think I’ll have a hard time making myself be brave enough to pick it up. 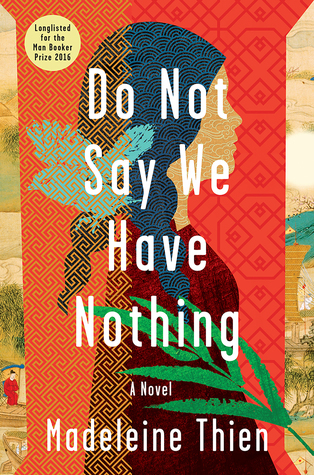 Usually I am all over the place with a stack, but when I started Thien’s book on Sunday, I knew I was going to have to pay attention, so most of the other reading is just sitting right now but, even so, it is taking me longer than usual to read this novel. Like you, though, I’m not complaining. I’m not sure I would mind (at this point- a little over half) if it was twice the length (maybe I’ll change my mind as I read on). Wholly enjoyed your thoughts on this one! You are doing exactly what I did – I just put all my reading energy into this one book and took my time with it. At half way through, I don’t think you’ll change your mind!